Alongside running this little food blog, I sometimes, you know, do real journalist stuff. Or at least as real as picking a person to act as a subject for my photojournalism photo essay, and going to her home on the south side of Chicago to spend a few hours in her living room and office, watching and photographing her at work, practicing yoga and reading. We took a short break from all of that and walked a block south to Bridgeport Pasty, a café I had only heard of but had never actually encountered. You see, last February, I had this wild idea that I would get a grant to stay in Chicago over the summer and produce a documentary exposé on the Chicago food trucks’ battles with city and state regulations keeping them from being able to cook onboard the trucks. While writing the grant proposal, I fleshed out this idea incredibly well and developed all kinds of ideas for the documentary, even going as far as contacting literally all of the trucks in Chicago to see if they would allow me to film them or interview the owners. The surprising part is that I actually got permission and enthusiasm from some of the owners. Anyways, in all this research, I read up on all the trucks, so I knew about Bridgeport Pasty as a truck that sells their signature pasties on the streets of Chicago. What I didn’t know is that they have a brick-and-mortar store too. Finally being able to go there and try it out almost validated my effort and excitement for this proposal, even though my request wasn’t approved. And let me say that walking that block in the frigid Chicago winter after taking 3 trains and a bus – yeah, that was totally worth it. 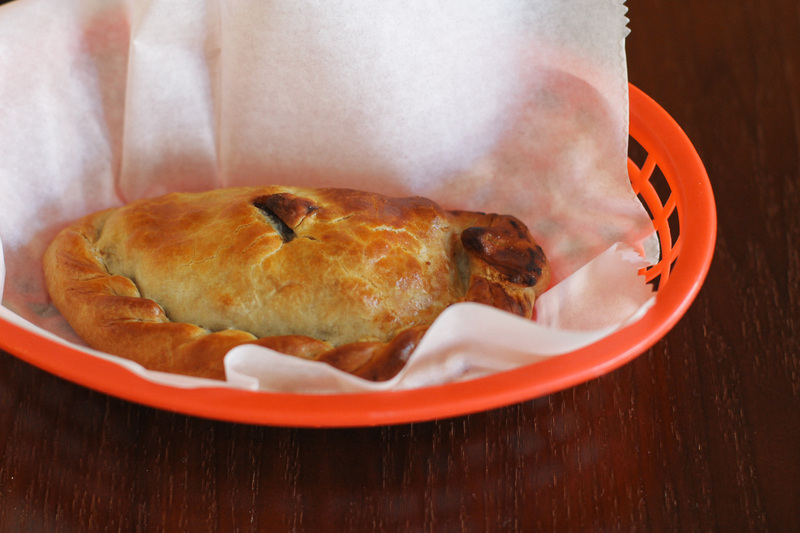 It was tough for me to choose which pasty to get, but I finally settled on the barbecue beef pasty. 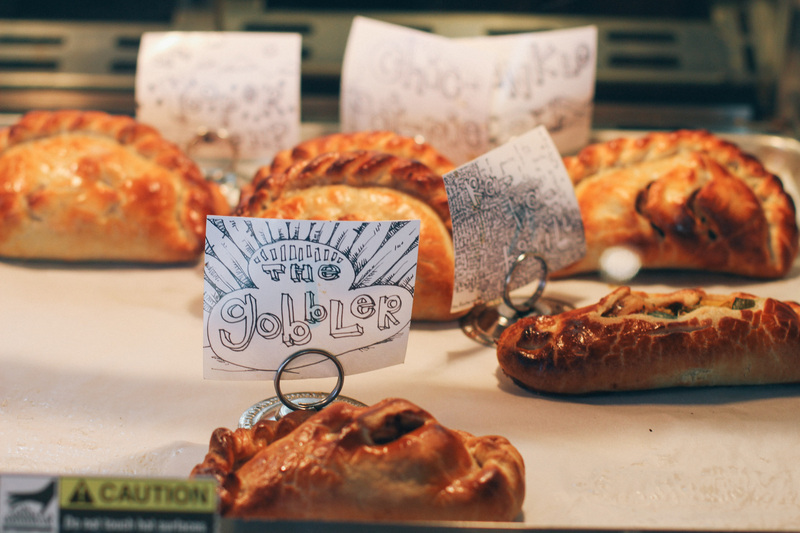 That was only after taking such beauties as the “oinkle” (with pork sausage, apple and potato), the “chic-pot-pie” and the “gobbler” (with turkey, stuffing and gravy) pasties into consideration. Surprisingly, this was my first experience ever with a real pasty (if you aren’t counting Hot Pockets, that is). I’ve been to the Upper Peninsula of Michigan a few times in my life and for some reason never tried this regional delicacy there. If those are anywhere as good as these, then sign me up! 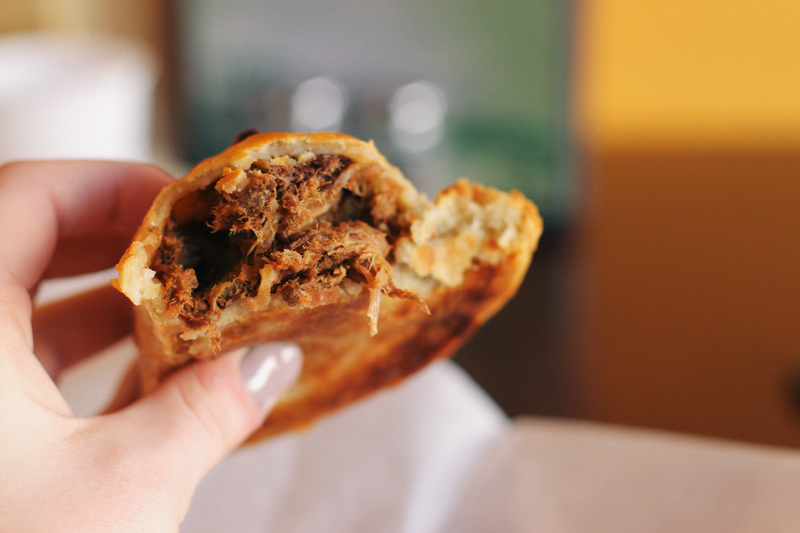 This entry was posted in Odes and tagged barbecue, Bridgeport Pasty, Chicago, food, food truck, food truck food, foods, journalism, pasties, pasty. Bookmark the permalink. I love pasties. I don’t know if it would be my last choice of meal before I depart this world but it would be very high on the list! so so delicious! i’m glad we were able to get there on such a chilly day!